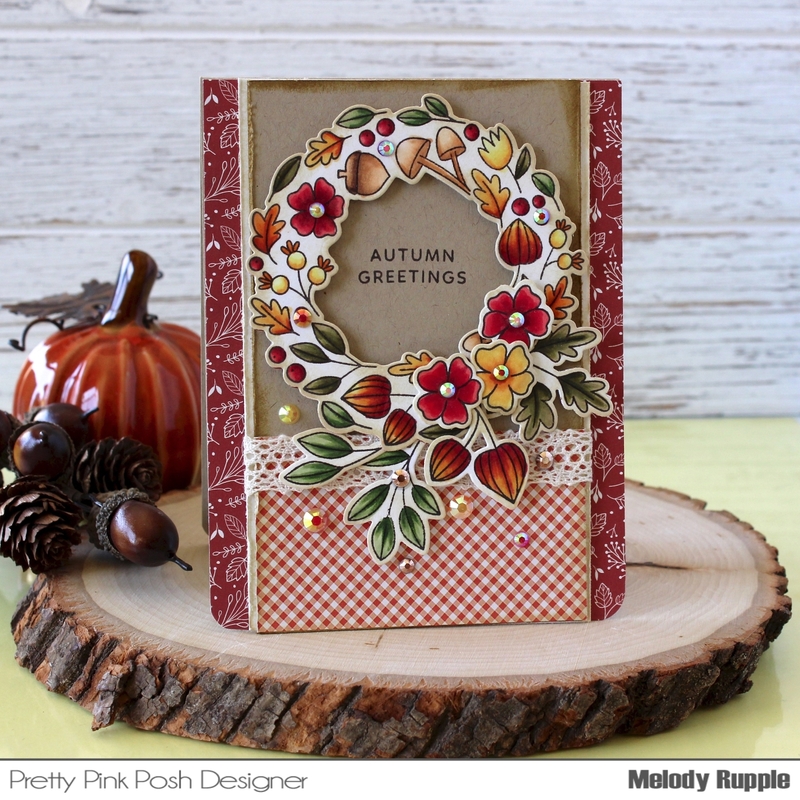 A Paper Melody: Pretty Pink Posh September Release Blog Hop - Autumn Greetings! 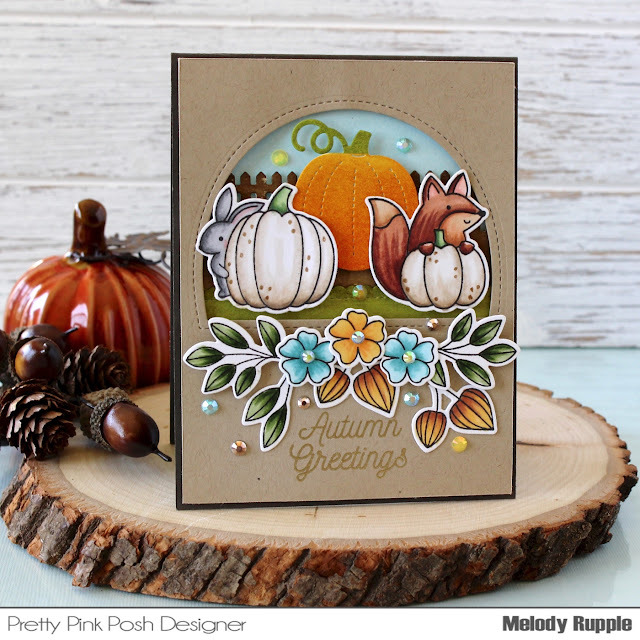 Pretty Pink Posh September Release Blog Hop - Autumn Greetings! 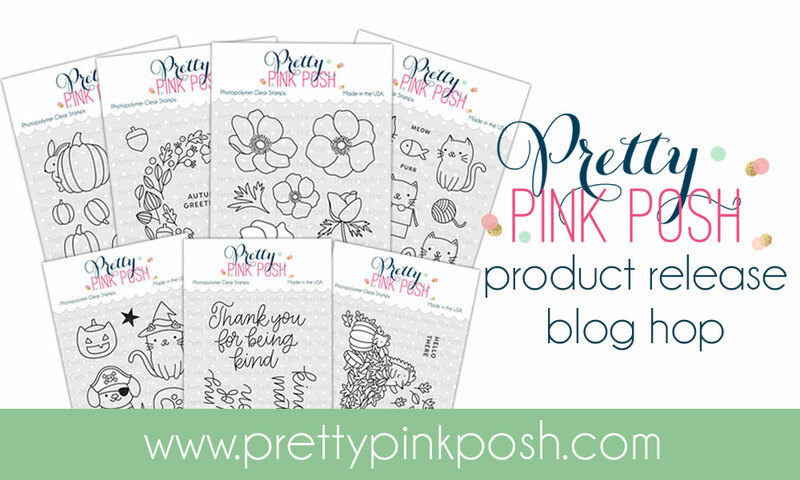 Welcome to day 2 of the Pretty Pink Posh September Release Blog Hop. If you arrived here from Caly Person's Blog you are on the right track. I’ll list all of today’s blog hop participants below, if you want to start at the beginning. My first card is created with a number of the new products. I used the Pumpkin Patch Critters Stamp Set and Pumpkin Patch Critters Coordinating Dies to create the sweet critters with the pumpkins and stamp the sentiment. (Product links are below.) Behind the critters I added a pumpkin with the new Small Stitched Foliage Dies. And behind the pumpkin a fence cut with the Picket Fence Die and a row of grass with the Scallop Borders Die. The window is cut with the Window Frames Dies. I added cardstock and foam tape behind the window and built my scene. Below the window I added flowers and the leaves from the new Autumn Wreath Stamp Set and the Autumn Wreath Coordinating Dies. The stamped images are colored with Copic Markers and the sentiment is embossed with gold embossing powder. 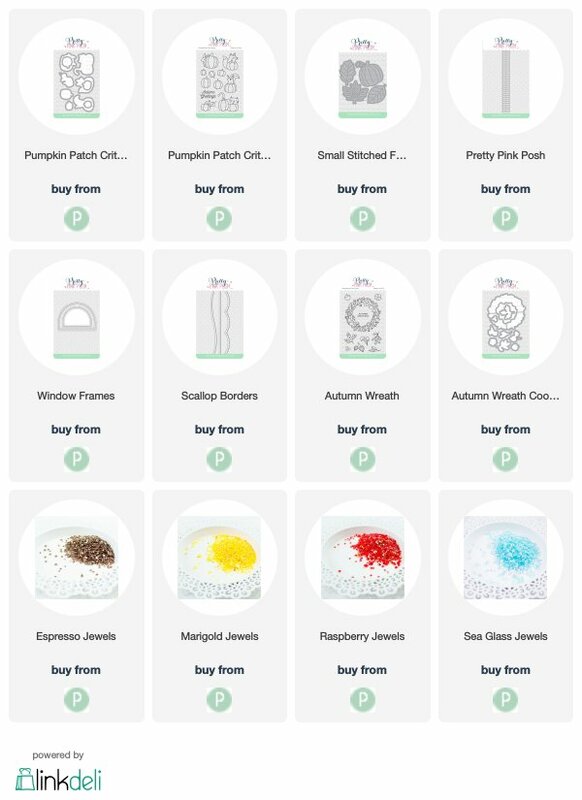 I finished off the card with two of the new colors of jewels, Expresso and Marigold, and the previously released Sea Glass Jewels. 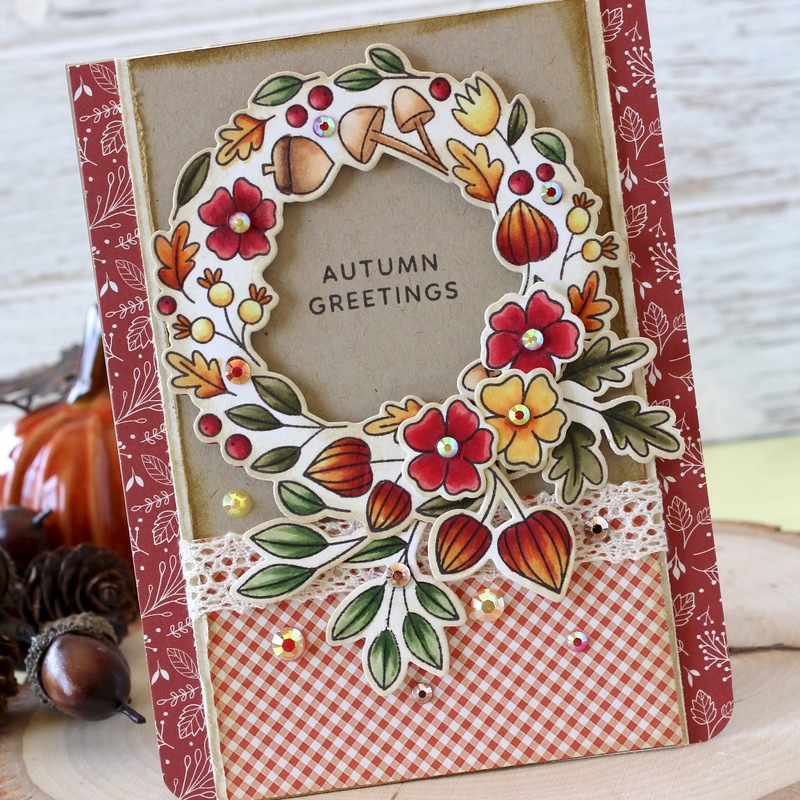 My second card features the Autumn Wreath Stamp Set and the Autumn Wreath Coordinating Dies. I love this stamp set! The wreath is colored with Copic Markers and then die cut. In the middle of the wreath I stamped a sentiment from the stamp set. At the bottom of the wreath I added addition foliage included in the stamp set. On this card I used jewels in Expresso, Marigold, and Raspberry. Be sure to leave comments on each stop. Paulina is giving away four $25 gift certificates to four random comments (2 winners each day) left before September 18, 2018 at 11:59 PM PDT. Be sure to return and see if you are one of the winners! I’ll list all of today’s blog hop participants below, if you want to start at the beginning. Thanks for stopping by! The next stop on the hop is Lexa Levana. Love your cards. I like the orange pumpkin. I like way you colored it looks like it is flocked. These are BOTH wonderful cards! I love the layering and will have to try this myself. Great way to use some of those smaller bits of scraps I'm always hanging on to! Thanks for sharing these wonderful cards. Love all the detail. A beautiful wreath and the other card with the flowers and animals is so cute. A nice job on these. I like the color story of the card with white pumpkins. The blue/brown colors look fall-like and serene. Love, Love, Love your beautiful cards! Oh wow, these are colored so beautifully- I really love that critter card! Love all the layers you have created with your cards. Beautiful! Wow I love these cards. All the details and layering make them so special. Really love the window effect on the first one. So much dimension to both of them. Oh. My. Goodness! I am in love with both of these cards. Your coloring is fabulous, of course. I love the brown & blue on the first card and then the pretty red papers along with the autumn colors of the wreath. Spectacular!! Great job on your cards. I love the fun and cute pumpkin card, thanks for sharing. Well done. A lot of elements and they all melded perfectly. Both of your cards are put together so well. Lots of elements to make them feel warm and cozy for fall. Oh, what a great couple of cards you've made!! Wow! Really appreciate them both & the time you must have spent on that shaker card with all of the layers & detail is pretty evident. Thanks so much! Love the swags you created, especially the one added to the wreath. Great idea! On the wreath card.... I really like how you added the extra foliage which gave the wreath extra Oompfh . I was inspired by that. I love all the elements you used to create the lovely wreath card--the gingham paper and lace add so much to the design! These are gorgeous cards! I just love the way you coloured them. Your cards are gorgeous! Thanks for all the great inspiration! Oh what fun... white pumpkins. I have never bought any but I do like them. The wreath is perfection. Just wonderful. Nicely done. Beautiful cards! I especially love the critters peering around the pumpkins. These are beautiful and the staging in your photos is gorgeous!!!! Beautiful cards and layout is fab!! !I especially like the first one. The coloimg is just gorgeous. I LOVE those softly blended blues! Great job!!! Beautiful fall colors. I love these new stamps from PPP. Both are amazing! I love all the extra embellishments and different patterns and design! Really like how you combined different stamp sets to make the cute card with the critters and the wreath card is beautiful. Beautiful cards!. Love your choice of colors. Great job. Adorable card. Especially love the white pumpkin. It is a unique color. Not many people use it on their cards. The light blue flowers in the card look so pretty. Very nice cards. The wreath is beautiful. I like how you didn't just use orange pumpkins on the first card, and i also like the patterned papers on the second one. It gives the card comfort. I am in love with your first card! Love the pumpkins and cute critters. Beautiful coloring and details! Gorgeous wreath card also! 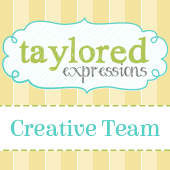 I'd love to be on your mailing list! Your cards are very unique and really beautiful!! My favorites!! I love both of your cards! The details are lovely! Lovely! I'm drawn to the critter card. Such a beautiful spray of images under the window. And I applaud the white pumpkins - they are my favorite to decorate with & look so pretty on this card! Beautiful cards. I love the wreath, and the Pumpkin Patch Critters have stolen my heart! Wonderful release. Your wreath card is so beautiful. Oh the new products are to die for. 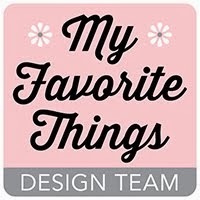 Love your beautiful work with them! To choose a favorite of these two is literally impossible. Your use of color is truly unique and breathtaking! I am so inspired by these! Thank you for sharing your talents with us! Beautiful cards. Simply stunning. Thanks for sharing. Wow! What a "fall-tastic" card!!! I was enjoying the critters and the pumpkins and then I noticed the little fence! I literally squealed because I thought this was such an unexpected yet perfect touch! Great job!! Lovely cards! :) I really like how you colored your pumpkins and critters on the first card. 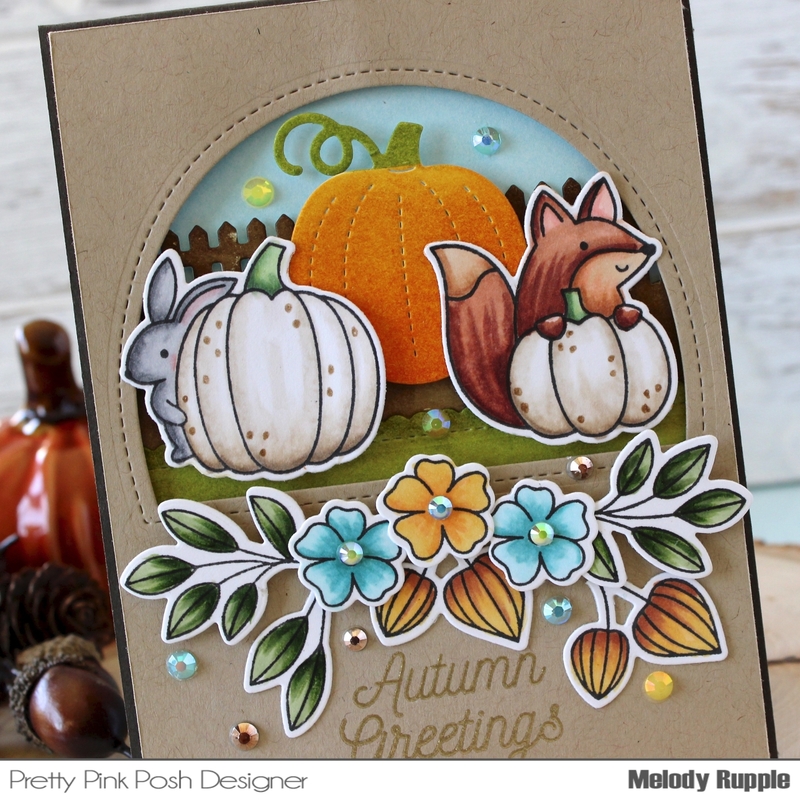 I just love your cute pumpkin patch scene with the sweet critters! Your first card, oh so ADORABLE! Filled with tons of cuteness! Love your wreath design too! So pretty! Love the layers and so many gorgeous details for your cards - really amazing designs!!! Beautiful card designs! I love the white pumpkins on your first card and the addition of the swag underneath the window die cut. All those deep reds in your autumn wreath card are just gorgeous! I love both your cards! So pretty with so much extra details. Wow, such amazing cards! Beautifully executed and so many fantastic details! Love the details, the paper choices, the jewels and of course, the stamps and dies! Your white pumpkins are so cute! I love your cards! I love both cards as they truly bring out the essence of fall! Did you ink blend the pumpkin? I never think to color white pumpkins, but I'm really loving all the examples of them in this hop. I especially like the little gold accents floating on that first card. And that second card is a perfect synthesis of patterned paper and focal point. I love how that one turned out. Thanks so much for sharing with us! Amazing cards...love the addition of blue to your fall colors on the first card. Oh, oh, oh, these are so gorgeous!!! Your coloring is stunning; I specially love the way you colored the pumpkins on the first one! Your cards are just lovely. So sweet.